Designing and creating mobiles since 1953, husband and wife team, Christian and Grethe Flensted, opened their mobile business in Aalborg, Denmark. Creating mobiles isn’t just a job for the family-run business, but a passion that shows in their unique, beautiful and classically-designed mobiles that inspire movement and balance. Designed so the elements are in constant movement while the entire mobile maintains harmonic balance. Handmade with great care by experienced staff, each mobile is packed so that it’s ready to hang. 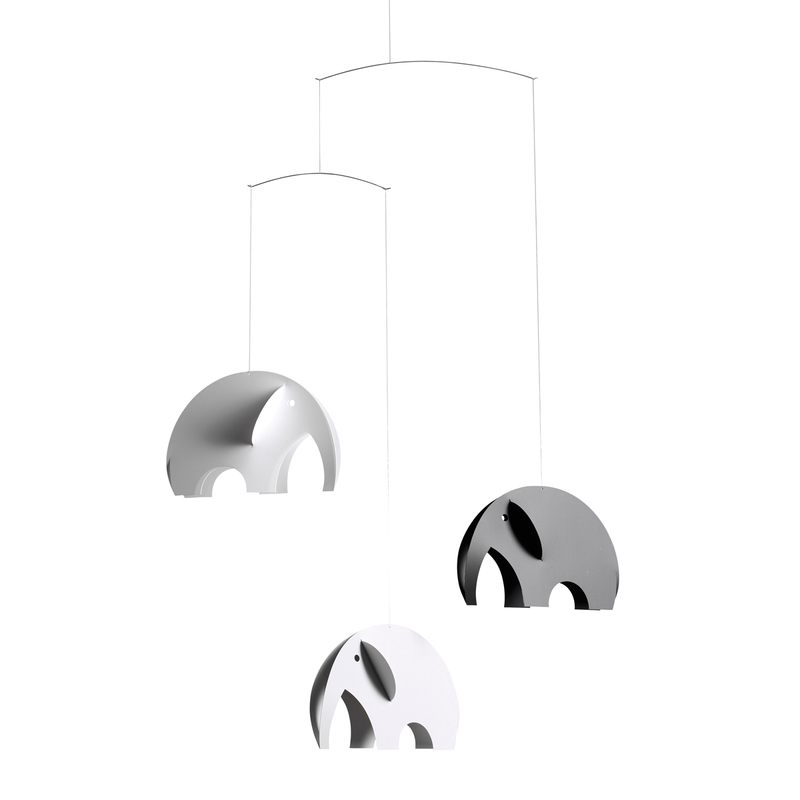 Not simply a nursery mobile, each Flensted mobile is a piece of kinetic sculpture art that will liven any home, office, nursery or play room. 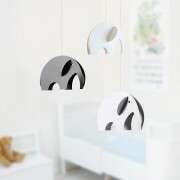 Add a touch of whimsy to the nursery with Flensted’s Elephant Mobile. Made by circles, it features a menagerie of 3-dimensional elephants that can be seen from below.